Last time when we saw Actor messaging, we saw how fire-n-forget messages are sent (Meaning, we just send a message to the Actor but don't expect a response from the Actor). In this write-up, we'll be focussing only on Point 1 - the request-response cycle. The picture conveys what we are trying to achieve this time. For sake of brevity, I didn't represent the ActorSystem, Dispatcher or Mailboxes in the picture. 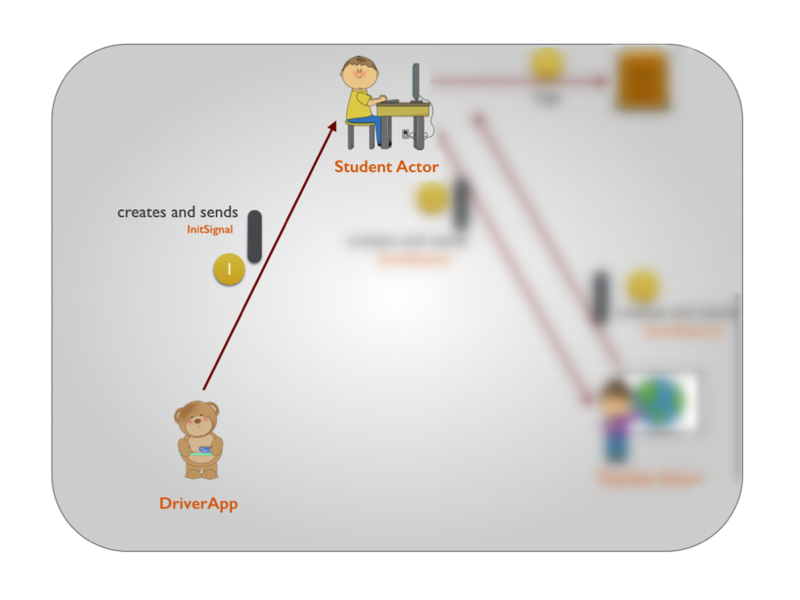 The DriverApp sends an InitSignal message to the StudentActor. 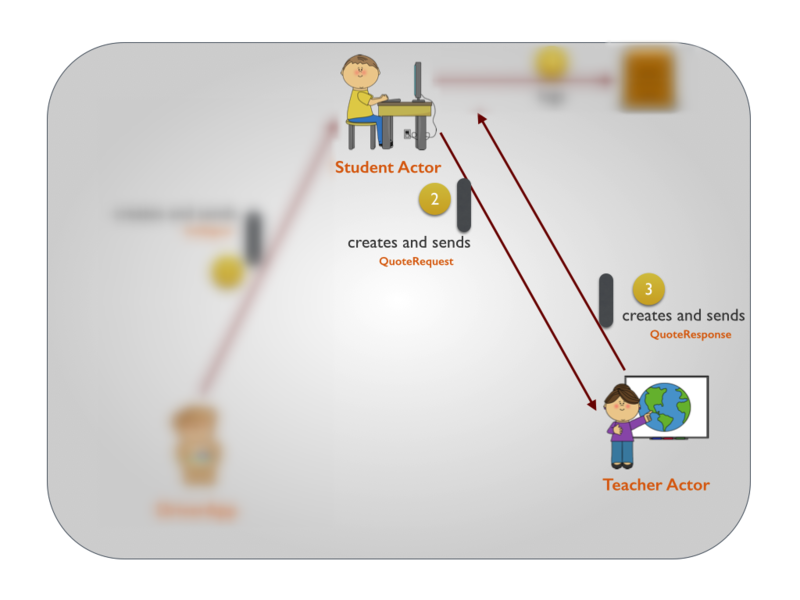 The StudentActor reacts to the InitSignal message and sends a QuoteRequest message to the TeacherActor. The TeacherActor, like we saw in the first discussion, responds with a QuoteResponse. The StudentActor just logs the QuoteResponse to the console/logger. We'll also cook up a testcase to verify it. You'll notice that I am passing in the ActorRef of the TeacherActor to the constructor of the StudentActor so that the StudentActor could use the ActorRef for sending messages to the TeacherActor. There are other ways to achieve this (like passing in the Props) but this method would come in handy when we look at Supervisors and Routers in the following write-ups. We'll also be looking at child actors pretty soon but that wouldn't semantically be the right approach here - Student creating Teacher doesn't sound nice. Does it? 4) The DriverApp would then send an InitSignal to the StudentActor, so that the StudentActor could start sending the QuoteRequest message to the TeacherActor. That's pretty much the DriverClass. The Thread.sleep and the ActorSystem.shutdown are just to wait for a couple of seconds for the message sending to finish before we finally shut down the ActorSystem. Why did I combine Points 2 and 4? Because it is so simple you'll hate me if I separate them. 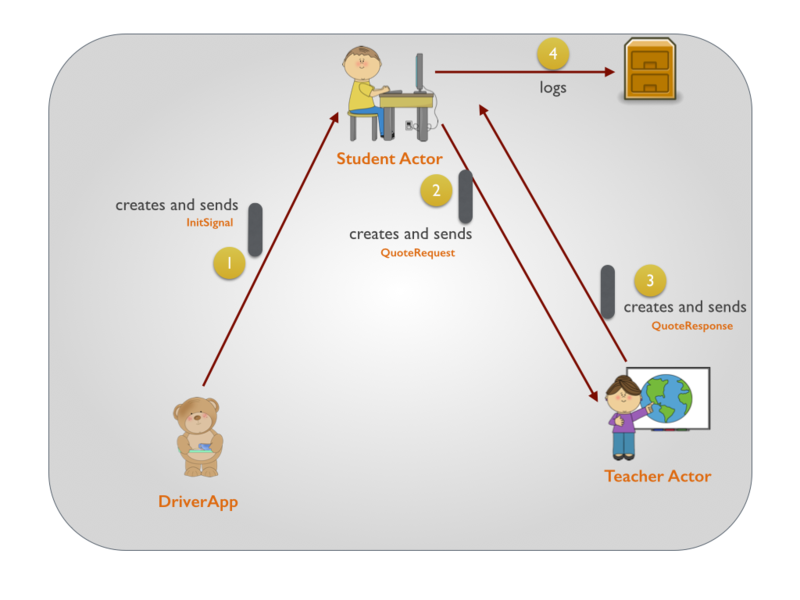 So, Point 2 - the StudentActor receives the InitSignal message from the DriverApp and sends QuoteRequest to the TeacherActor. 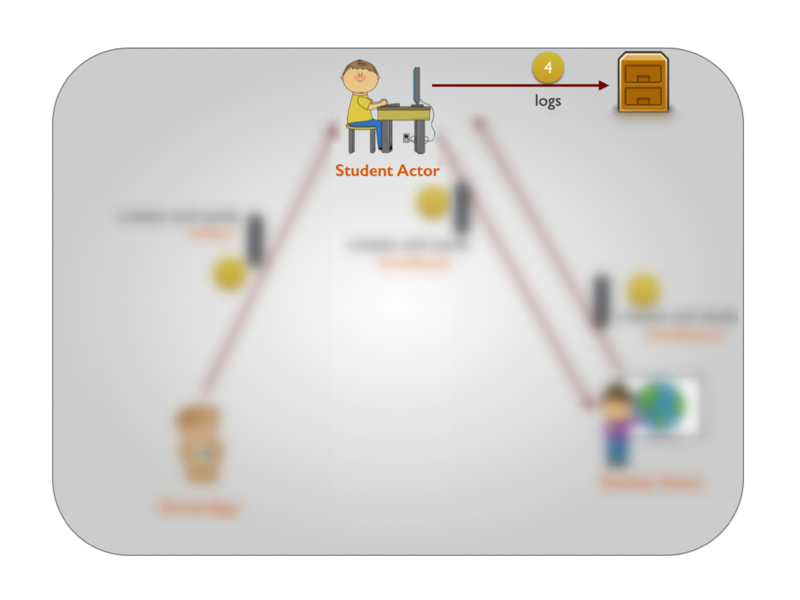 Point 4 - The StudentActor logs the message that it receives from the TeacherActor. I am sure you'd agree that it almost looks like pseudocode now. 3. THE TEACHERACTOR RESPONDS WITH A QUOTERESPONSE. This is the exact same code as we saw in the fire-n-forget write-up. The TeacherActor receives a QuoteRequest message and sends QuoteResponse back. The entire project could be downloaded from github here. Published at DZone with permission of Arun Manivannan , DZone MVB. See the original article here.